Bitcoin mining is currently a very hot topic and here are new hardware solutions launched by Manli and ASUS for your mining needs. 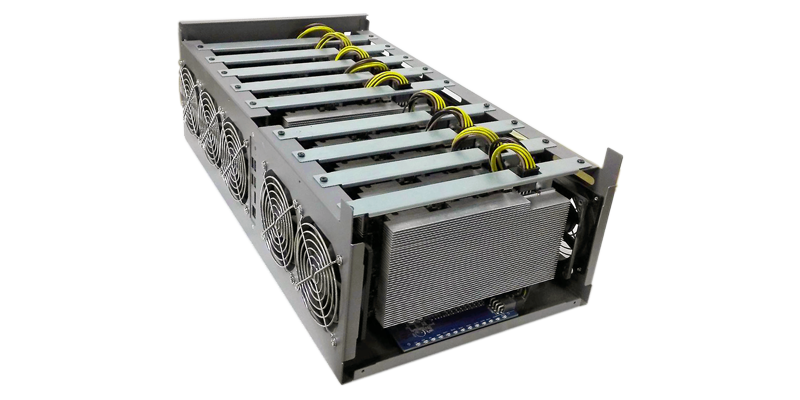 Manli has launched a new mining system that includes 9 graphics cards based on NVIDIA GP104-100 GPU. The GP104-100 is a GPU specifically aimed at cryptocurrency mining and is a variation of the GP104-200, the GPU behind the GeForce GTX 1070. Thanks to the 9 GP104-100 GPUs, the hashrate for ethereum mining is around 335 Mh/s (a GTX 1080 alone has a hashrate around 20 Mh/s). A 2200W PSU is required. 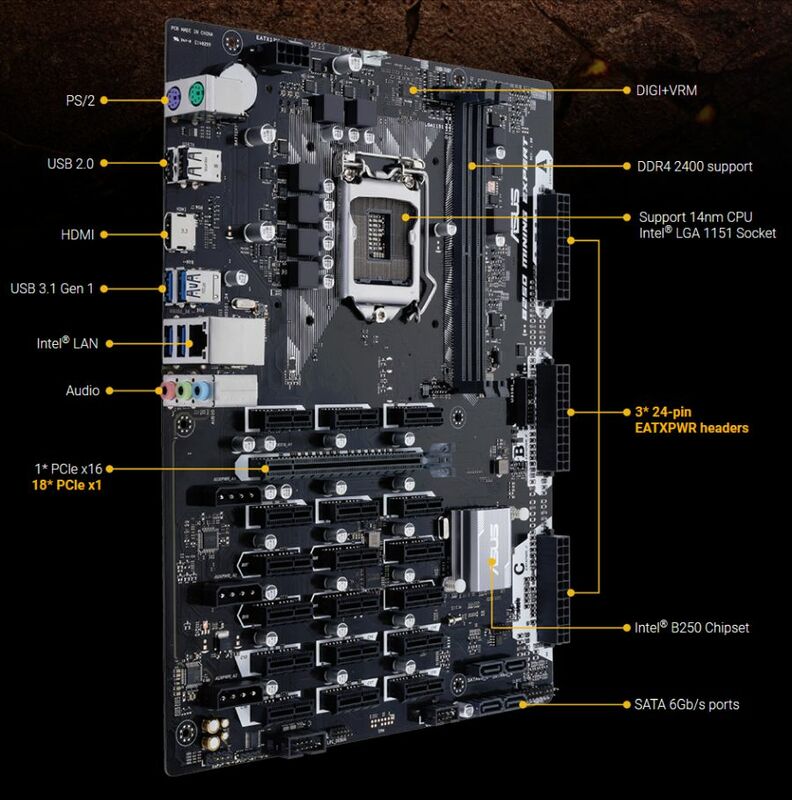 ASUS B250 Mining Expert is a new motherboard for cryptocurrency mining that comes with 19 PCI-E slots. 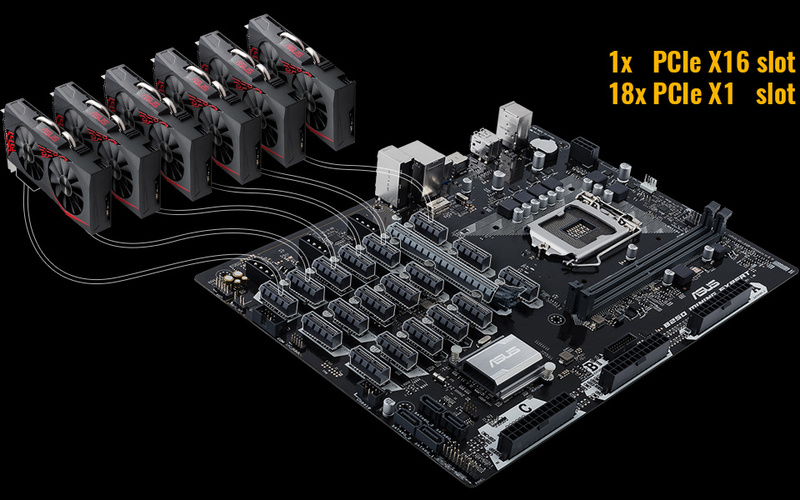 ASUS B250 Mining Expert is the world’s first mining motherboard to feature 19 PCI Express® (PCIe®) slots. With 18 PCIe X1 and one PCIe X16 slots on board, plus three zoned ATX12V power connectors, B250 Mining Expert lets you run up to 19* NVIDIA or AMD GPUs in parallel to max out your megahash rates! B250 Mining Expert currently supports a total of up to eight NVIDIA and AMD GPUs. An unlimited number of GPUs will be supported following a driver update that is planned for Q4 2017.